An 18-year-old man was denied bail at a court in New Zealand on Monday after he was charged with distributing a live stream of the mass shooting last week, the New Zealand Herald reported. 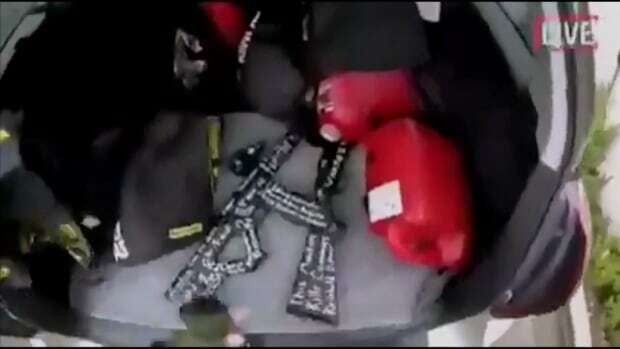 The man was arrested on Friday, but police have since said they do not believe he was directly involved in the attacks at two mosques in Christchurch that day, in which 50 worshippers were killed. He faces charges of sharing the gunman’s live stream and posting a photograph of one of the mosques attacked with the message “target acquired,” along with other chat messages “inciting extreme violence,” the Herald reported. His request for bail was refused, but the judge granted him name suppression. He is due back in court next month. Australian Brenton Tarrant, a suspected white supremacist, was charged with murder for the mosque shootings. Tarrant was remanded without a plea and is due back in court on April 5 where police said he was likely to face more charges. The gunman who attacked two mosques on Friday live-streamed the attacks on Facebook for 17 minutes using an app designed for extreme sports enthusiasts, with copies still being shared on social media hours later. “The footage related to the attack has been classed as objectionable, so it is an offence under New Zealand law to possess, share, and/or host it,” said Sarah Stuart-Black, director of New Zealand’s Ministry of Civil Defence and Emergency Management. Facebook said it removed 1.5 million videos globally of the New Zealand mosque attack in the first 24 hours after the attack. It said it is also removing all edited versions of the video that do not show graphic content out of respect for the people affected by the mosque shooting and the concerns of local authorities. © 2019 The Edge Magazine. All Rights Reserved.